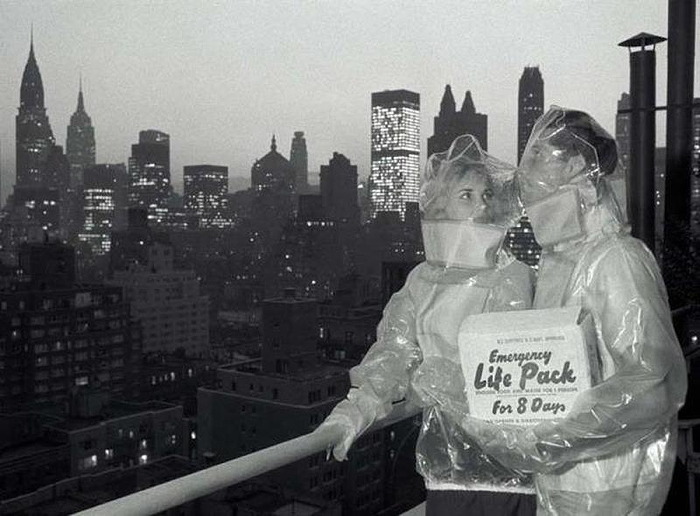 Debuted in 1961, from the Survival Life Pack Company. Looks like you can still pick one up on eBay for around $199.99. (Though just the food/water, not the suit). 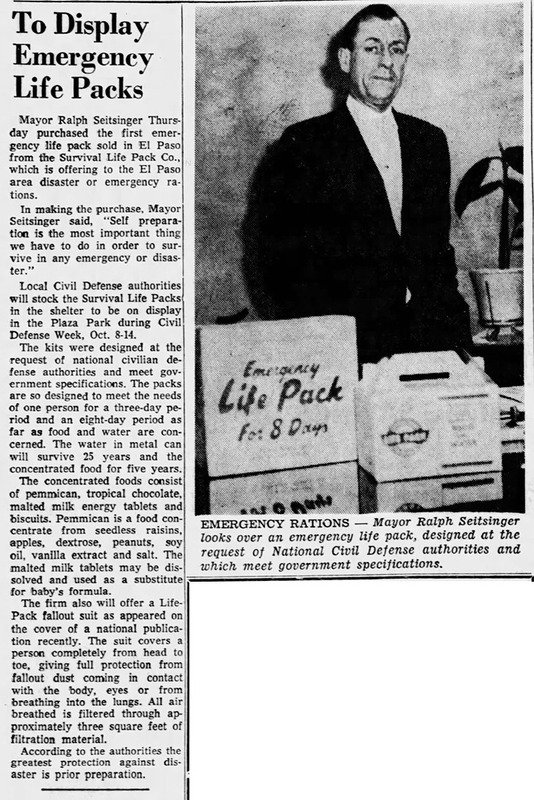 Back in 1975, $12,800 could have bought you membership in a “doomsday club.” Come doomsday, this would have allowed you to hide out in a secret, well-supplied location in northern California — where you’d be safe from rioters, zombies, etc. I wouldn't be surprised if the doomsday retreat hasn't burned down with all the recent fires. Before there was the LEFT BEHIND series, there was this. Do you not have enough problems in your life? Do the internet and other media fail to bring world problems to your attention? If this is your dilemma, rest easy! A solution is at hand! 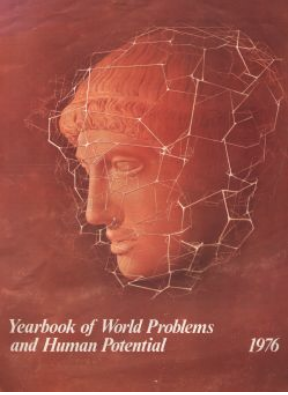 Simply visit THE ENCYCLOPEDIA OF WORLD PROBLEMS. There, you can choose from thousands of problems to worry about. Maybe you want something concrete, such as VIOLENT CRIME. Or maybe you'd like to focus on something more numinous, like UNMEANINGFUL RELATIONSHIPS TO PLACE. 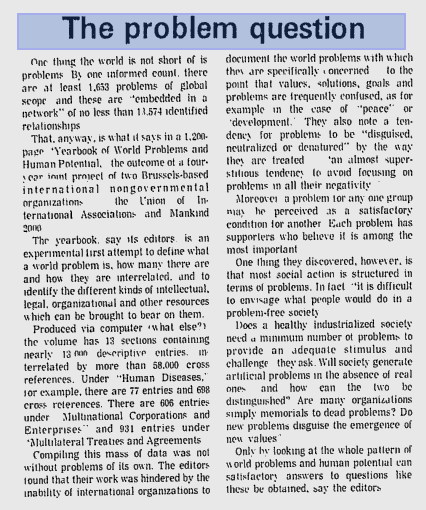 Whatever your worrying needs, you can rely on THE ENCYCLOPEDIA OF WORLD PROBLEMS to provide grist for your anxieties. 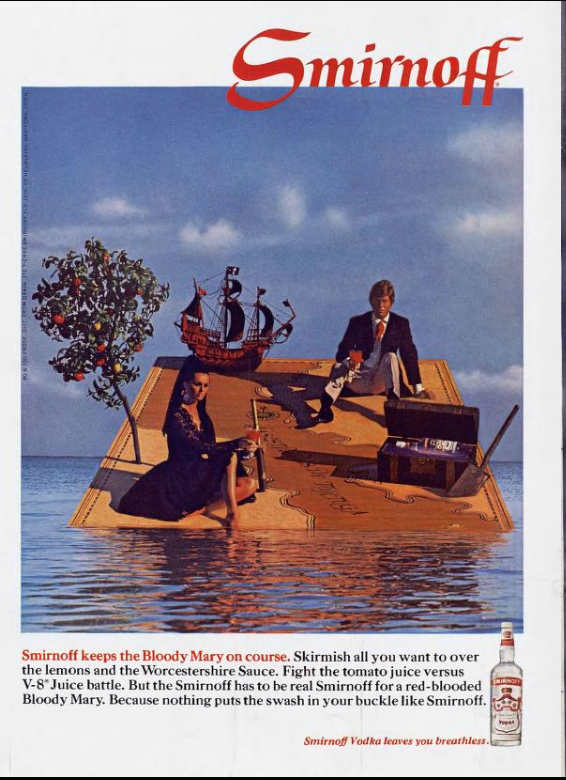 Here is a picture and review of the first (print) edition from 1976. "Nobody likes my baby, cuz she shoots out gamma rays." 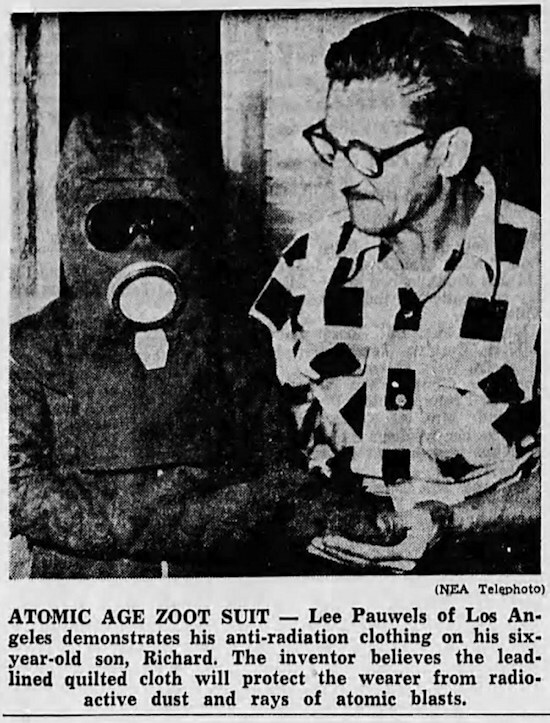 Designed by Lee Pauwels of Los Angeles to protect his six-year-old son from harmful atomic rays given off by a nuclear explosion. 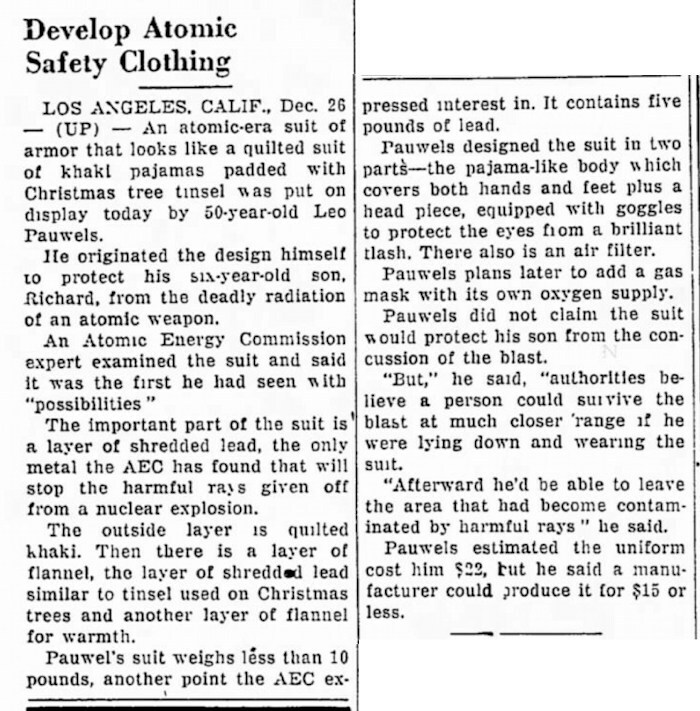 He noted that the suit wouldn't protect his son from the concussion of the blast, "But authorities believe a person could survive the blast at much closer range if he were lying down and wearing the suit. 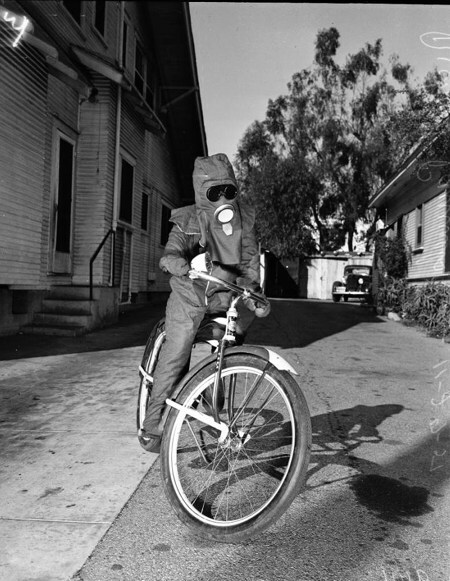 Afterward he'd be able to leave the area that had become contaminated by harmful rays." 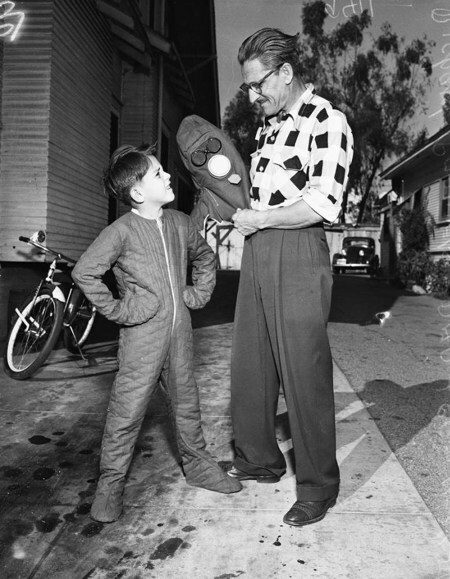 I wonder if this suit still survives somewhere, stored in someone's attic. Well, it must be around if even atomic rays couldn't harm it. This is the kind of thing that should be on display in the Smithsonian (if I were running it). NewDealDesign, a design house out of San Francisco, is behind an idea for implanted tattoos that carry information about the wearer that could be exchanged by touch. The Bible has long been quoted about the mark of the beast and the Anti Christ being from the Middle East, guess where the CEO of the company is from, just sayin'. 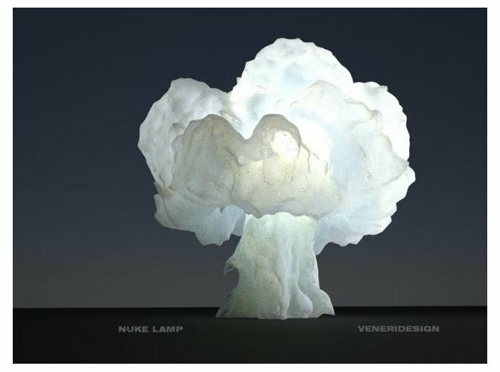 Add a little armageddon chic to your home with the Nuke Lamp from VeneriDesign. It's yours for only $1,445.53. If they're charging that much, couldn't they have rounded down to an even $1445?